The Young Adult Day Program is designed for young adult’s ages 16 to 23 that are currently struggling with academics in a traditional school setting, looking to seek and secure employment, and are in search of developing the life and social skills necessary to become healthy and independent adults. This Program utilizes the Casey Life Skills Model to assess the client’s level of mastery in life/social skill domains and promotes development in areas of deficiency via skill building activities. 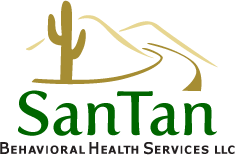 San Tan staff also identifies the client’s level of independent functioning and design a treatment program that maximizes success and promotes transition into adulthood. Additionally, the Young Adult Day Program is a supportive environment which allows for clients to explore their feelings and emotions with the purpose of assisting them to develop healthy relationships. The Young Adult Day Program also assists clients in achieving their academic goals through GED instruction. Each client is assessed by a para-educator to gauge their level of comprehension in areas such as math, reading, language, science, etc. Based on these measurements, a customized learning plan is developed which will ultimately aid the client in attaining their GED.